“This CD is a collection of what I feel are the best songs I wrote post Van Halen that mostly didn't get a lot of mainstream attention,” says Hagar. “When I left Van Halen, I formed the Wabos as an alternative to the superstar big-time, high-maintenance commercial world I had been living in since I joined Montrose in 1972. 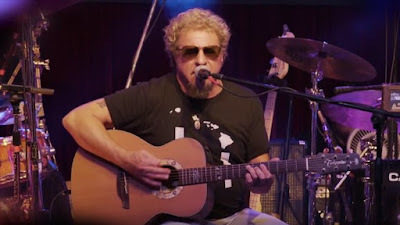 Hagar’s most recent release is 2014’s “Lite Roast”; the project with Waboritas guitarist Vic Johnson sees the pair deliver stripped-down versions of tunes from the Red Rocker’s career.